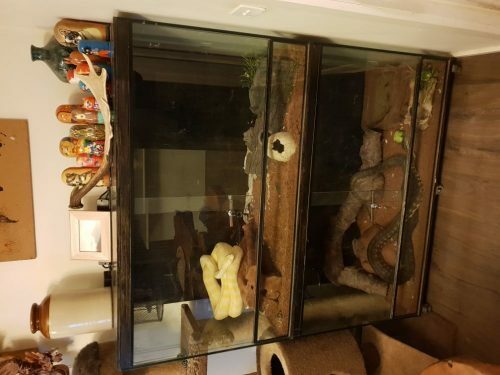 2 darwin carpet pythons and custom handmade glass twin enclosure. 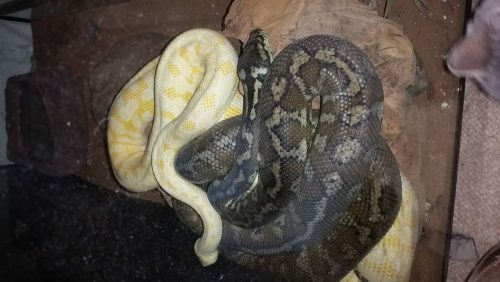 One of the pythons is an albino Male that has been handled and has a mild temperament, the other python is female and you are unable to handle her because of her temperament. 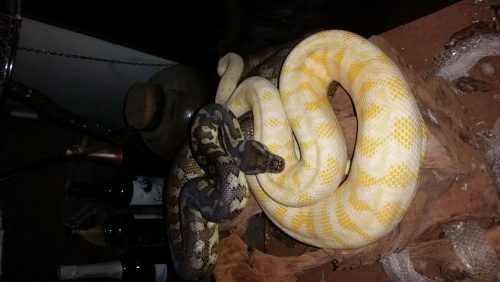 She has the HET gene as she was born from an albino. They are 4 years old and aprox 1.5 meters long and are a breeding pair. The enclosure is 1460mm high, 1200 wide and 470 deep. It has 3 sides with insulated 10mm thick glass and temperature control. 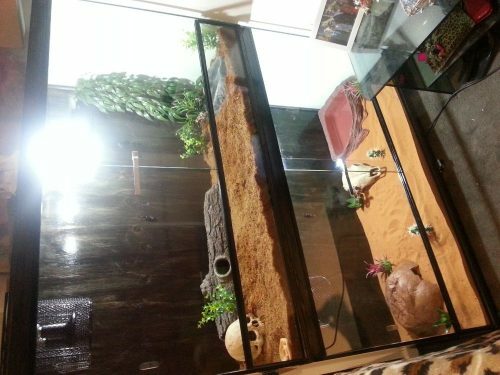 It has 2 heat lamps in each enclosure with a guard so the snakes don’t get burnt. It has a led display heat thermometer in each enclosure where you can adjust day and night time temp and also activation for the light at certain times. It also has an alarm for when the temperature variates from your desired temp. 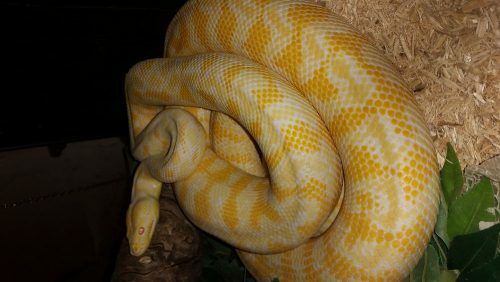 Price includes twin enclosure, 2 darwin carpet pythons, water bowls, ornaments, tree logs, and hideout.